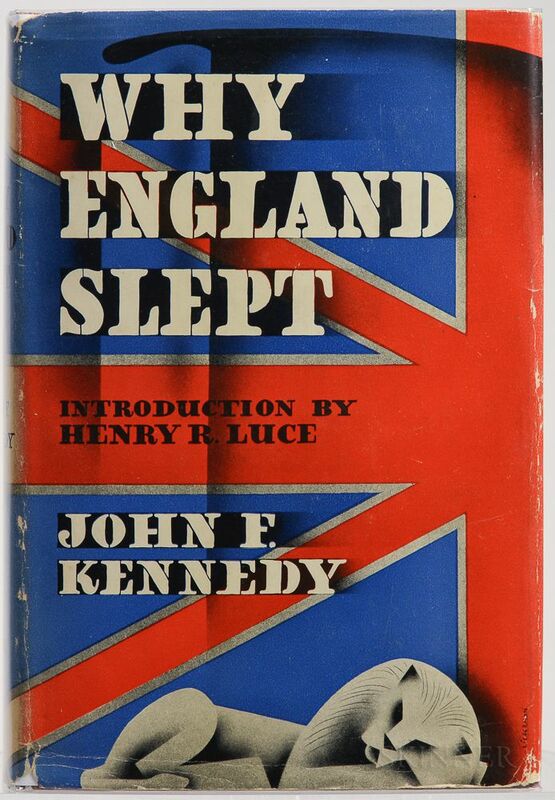 Kennedy, John Fitzgerald (1917-1963) Why England Slept. 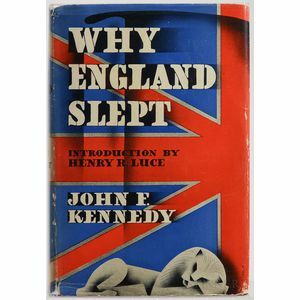 Kennedy, John Fitzgerald (1917-1963) Why England Slept. New York: Wilfred Funk, Inc. 1940. Octavo, bound in publisher's red cloth stamped in blue and white, in the original dust jacket, 8 x 5 1/4 in.